The more marketing that you do, the more people are going to see your work and the more chances you have to get people to sign up to your offers. There are two main types of marketing that I am going to explain to you briefly below and in detail in the video. Newspaper advertising is the classic method of advertising and marketing that expires. There’s the old saying that today’s news is tomorrow’s chip shop paper. That is the same for your adverts in newspapers. Here today, gone tomorrow. Another example of this type of marketing is Gumtree. These will last a little bit longer but it still has a shelf life for people seeing it. This type of marketing needs to be done repeatedly to keep it in front of people. Facebook live for example is a new version of temporary marketing. It isn’t long before it disappears from people’s news feed. YouTube marketing is a type of permanent marketing. People use YouTube as a type of search engine to solve a problem, to find information or just to find something that amuses them. Those videos are there to be found permanently which makes them a different type of video marketing to Facebook Live. Downloading your Facebook Live video and uploading it to YouTube can turn your temporary marketing into permanent marketing. Podcasting is another way of making content that doesn’t expire. The content that you create is there forever and searched for in a way similar to YouTube. Podcasting has been excellent for my business and brought clients in for me. If you haven’t started your own podcast yet I have a course for you here. 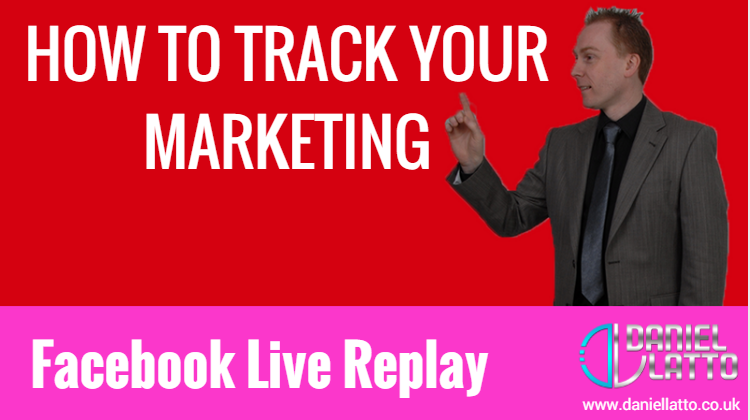 Take a look at the video to learn more about how you should be tracking your marketing. You need to be spending time learning about marketing every day if your marketing isn’t working for you yet. I hear it so many time from people that their marketing isn’t working and they are filling their day with mundane tasks rather than learning how to improve. 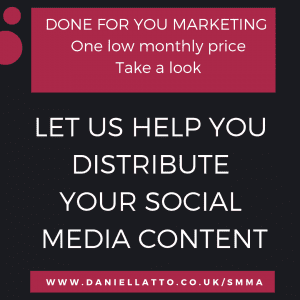 As you saw in the video, I track my marketing on a monthly basis so that I know what I should be doing and also what I have achieved throughout the month. It is a length of time that is long enough to create traction and also short enough that if you are going the wrong way that you can change direction or tweak your efforts more easily. If this has been of use to you give it a share and hope to see you on one of my live videos soon.